Alstom was awarded a $150 million contract by the Maryland Transit Administration (MTA) to overhaul Baltimore’s entire fleet of 53 light rail vehicles (LRV). 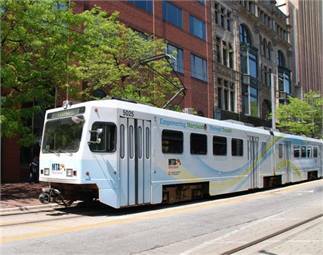 Baltimore LRVs are scheduled to arrive, beginning in October 2013, at Alstom’s Hornell, N.Y., facility where the refurbishment will be executed. The project will add about 15 years to the lifespan of the trains. This overhaul is one of several projects the state of Maryland is implementing as part of an ambitious program to improve the safety, reliability and service of its transportation systems. The first Baltimore LRVs were manufactured some 25 years ago, with the fleet carrying nearly 28,000 riders a day between downtown Baltimore, northern suburbs and BWI-Thurgood Marshall Airport. The first major step in the modernization process involves dynamic testing on a few trains to base line their current performance. The results of these tests are used to document improved performance of the vehicles after renovation. The next step after testing is to remove all interior and exterior components from each car and address any necessary car body repairs. Alstom will then re-equip each train with new propulsion systems; on-board automatic train control technology; closed circuit TVs (CCTV); climate control units; and new doors, seating and carpets. To minimize impacts on MTA riders, a maximum of five trains at a time will be removed from service. The overhaul program will last approximately four years, with the last overhauled vehicle returning to Baltimore in May 2018. 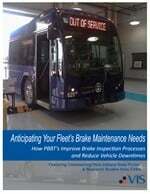 Alstom’s maintenance business in North America (Transport Life Services) will lead the MTA LRV modernization project.